Good morning y’’all! This has been a great week here in West Valley City! We had a lot of great stuff going on and the work is going good! Of course, we had transfers calls last Saturday and me and Elder Heeding will be staying together for another transfer! So, we are both super excited for that! 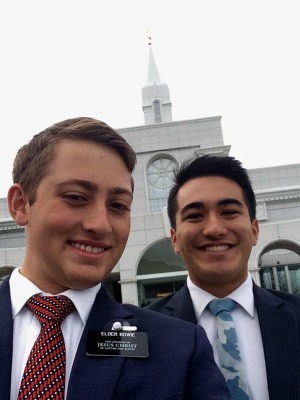 We also get a new ward in our area the Mapasaga Ward which is the Samoan ward for Hunter and Manga! So, now our area is really big! We are looking forward to working with them now as well! So, it’s going to be awesome covering this new ward! We had our Stake’s community event, The Easter Hosanna! It was a big concert with groups from around the area which was pretty awesome! We invited a couple of people to come to that. So that was great! We had a couple of lessons this week with potential new investigators, and we are still looking for new people to work with. It’s been really good and the Lord answered our prayers and we got a solid referral for a guy who is 28 and as a LOT of questions and wants to learn more about our Church. So, that was great! We are working with some less actives who have an 8 year old daughter. We are working with them to get them active and to get her baptized with the Bishop’s help. So, that was awesome! The mission has been doing great! I’m excited to stay here for one for transfer. So, now I'll be here till May 8th So, this might be my last area, but we will see what the Lord wants. It’s been great serving and I love the people of this area! I hope everyone else has a great Easter Week! It’s amazing to turn back and to look at the life of the Savior during those last moments of his life. Love! Good Morning! It’s been an amazing week here in West Valley! We have been working hard trying to find some new investigators (people that are interested in learning more about the church). We have been knocking doors and walking the streets looking for people to teach and to help come unto Christ. We found one after many hours of seeking. haha! It’s a part member family with a 9 year old daughter. We will be meeting with them this evening at 7. We are excited to start working with them! 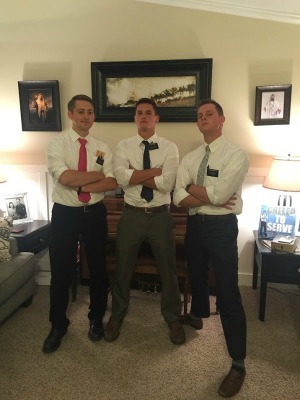 Elder Heeding has been doing very well! 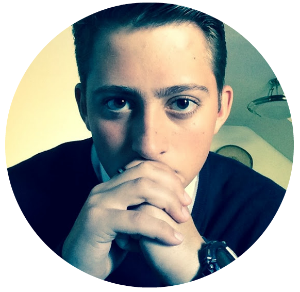 He’s has adjusted to missionary life really well and is a great support and missionary! We are getting along well and are working hard! We were able to give our testimonies in the Hunter 15th ward which was great! We will be speaking in the 5th ward next week! So, we will have spoken three times by the end of this transfer which is great! Elder Heeding does great talks as well! I have been trying to focus more on the Book of Mormon recently and I am currently in the middle of Mosiah and finished reading the story of Abinadi. We were able to use that story in a lesson with one of our recent converts, Ray, and we read chapters 13-14 with him and talked about the commandments and the Atonement of Jesus Christ. We told him of how Abinadi talked to the wicked King Noah and his Priest and taught them about the Law of Moses and the Savior who would fulfill the Law. He also read Isaiah 53 as another witness of his words to the King. It’s amazing to see how the Book of Mormon is a companion to the Bible and supports it. Using both brings the doctrine of Christ into focus. I love being a missionary and it’s crazy to think I only have 3 more months of it! I love serving and helping the people around me. I can promise you that if you read the Book of Mormon every day that the windows of Heaven will open and you will find answers and peace in your own life as it has mine. I love this Gospel! Our last Prophet Thomas S. Monson said in his last public address we need to read this Book daily. I love y’all! Thanks for all the love and support! May God bless you! Good Morning, everyone! This has been another awesome week here in West Valley! We didn’t have many lessons but we had some excellent experiences! To start, Monday evening we had a lesson cancel and we went out contacting and we went by a lady named Demetra and she is cool and is a single mom of 5 or 6 kids! She really isn’t that interested in church and works two jobs so she is rarely home but her mom stays with the kids. So we had a good talk with her and she knows the Bishop in the area and hopefully when things clear up in her life she will be ready to join the Gospel, but for right now she isn’t interested in Church. Then Tuesday last week was our pday which you already know about. We went to downtown Salt Lake. Then we went out contacting and it was pretty good. Wednesday we decided to do a “Walk of Faith”. Since we had nothing planned for the whole afternoon we just walked around for a few hours. Nothing too much happen. We had a correlation meeting and talked about some of the people we are trying to work with and got to know the ward missionaries a bit better. Thursday we did some service for Brother Gomez in helping put away some costumes and stuff from the event downtown for the Spanish community. So that was a lot of fun and we messed around with some of it and took some cool pics. haha! Then we ate lunch and we did our weekly planning and then contacted in the evenings. Friday we had our District Meeting which was a bit small since the sisters in our district were at the Jordan River Temple preparing for the Open House. It was good and then we did some more walking and not too much happened. Saturday we decided to walk the boundaries of our area. In the afternoon since both our afternoon appointments canceled. So 10, 11 miles later we finished and went back home with just a little bit of time left until dinner. While we were walking we were able to give someone a priesthood blessings which was awesome! He saw us walking and asked us to come in and he told us he was struggling and he was a member. So, we were able to give him a blessing and directed him to his bishop. So, that awesome! Sunday we had church and we did some walking in the afternoon. A few meetings then we walked to dinner. That was fun. Our lesson at 6 told us they weren’t interested so we walked to our lesson at 7 and they canceled since she had to work extra. Then we went by our ward mission leader, Brother Nelson, and did a correlation meeting which was good. So ya, we did not have many lessons this week, but we were able to still work and walk around and do some good that otherwise couldn’t have been done. So, it’s been a good week and it’s been nice weather so it makes walking a couple miles not too bad. haha! I hope everyone had a great week! Thanks again for all the love and support! 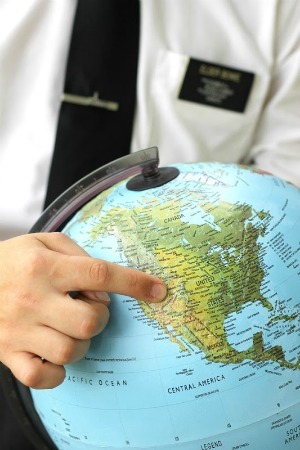 And, in case you didn’t see I have now less than 100 days left on the mission. haha! So, I’ll do my best to make it count! Hunter Week 15: Salt Lake City!! Good morning everyone! We had a great time in the Salt Lake City Temple today! So that is why our pday was moved to today. It was awesome to go to the temple. 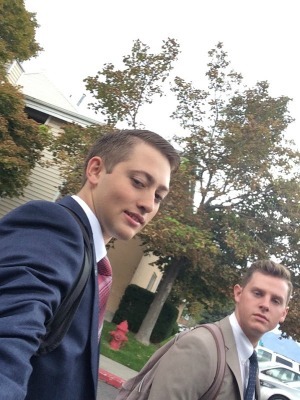 We had to wake up at 5 and get to the train station at 6 to ride to Salt Lake, and be in the temple for the 7 am session. So that as great and I printed off two family names for Elder Heeding and I. Our week went pretty good. 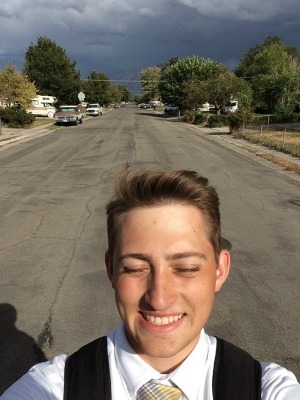 We had stake conference which as fun to go to! We are still looking for new people to work with and we have a few on date for baptism here soon. Sorry my email will be a little short this week since I’m still downtown doing some stuff! 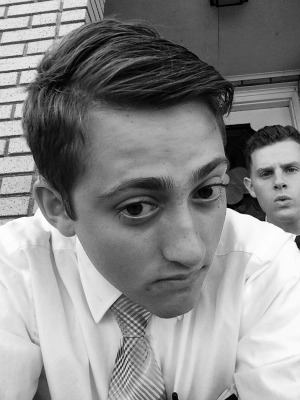 We are doing well together and I am really enjoying my time with Elder Heeding. The work here in West Valley is picking up, and its crazy to think we are halfway done with the transfer! Hope you all have a great day! Love you!